Awarded for an exceptional product and customer service, by the prestigious Business Excellence Awards. Check out our blog about this award. 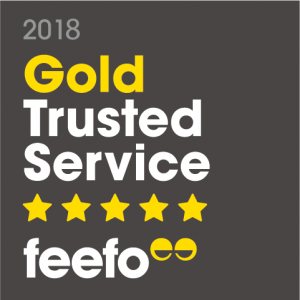 Gold Trusted Service Award 2018 from Feefo, for consistently good customer reviews. 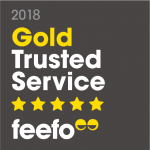 This is Feefo’s most prestigious accolade and is only given to brands who maintain an average review score of 4.5 stars while collecting at least 50 reviews. Find out more about why we won this award here. Awarded to TFS Loans because of our great value product that offers higher loan values that competitors, our exceptional customer service and feedback score, the innovative approach to applying online and positive industry recognition of our brand. 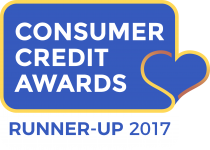 These awards highlight the top personal finance providers and products from the last twelve months. The judges felt TFS Loans should be commended for it’s innovative, transparent and competitively priced Guarantor Loan service. Read more about what they had to say here. Described as the award that all firms want, this award was won as a result of our Customers who voted for us. Read more here. These awards celebrate the top performing businesses in the financial world. 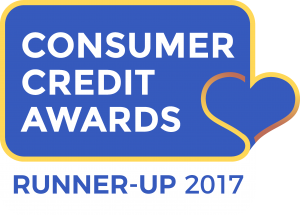 You can find out more about why we were crowned Best Guarantor Loan Provider, here.